Pets are commonly seen in households throughout the world, but do they make good gifts? 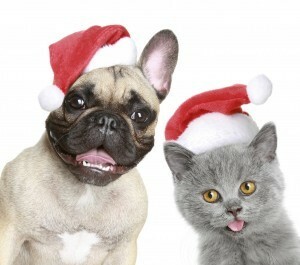 Popular occasions such as Christmas and birthdays warrant presents and an ever increasing present in popularity is pets. There are many pets to choose from nowadays, from the furry dogs and cats, to the small hamsters and guinea pigs, and even to the scaly snakes, lizards, and fish. But all of these different pets have specific habitats and diets that need to be maintained in order to keep your new family member healthy. When getting a pet as a gift, those first few days are exciting. The newness of the pet, coupled with the excitement of naming it, all lead to a thrilling new adventure. But that newness wears off as the pet ages and the costs increase. There are many costs that need to be taken into consideration before giving a pet to someone. Besides the initial purchase fee, each species of pet has different costs associated with it. All animals need proper food, housing (tanks, beds, and cages), and food and water containers. On top of these initial costs, there are specific costs for each species. Some of these costs are listed below. Most of these costs are not immediately thought about when purchasing a pet, but with proper information beforehand a pet can be a great addition to a family. For more information before purchasing a pet contact your local pet store. Most pet stores sell books that explain how to raise and keep your pet healthy. Another great source is your local veterinarian. Veterinarians are very willing to help and can direct you in the proper direction on wellness and safety when owning a pet.